Come work at the most popular store in town! ​It's a busy, happy place to work! 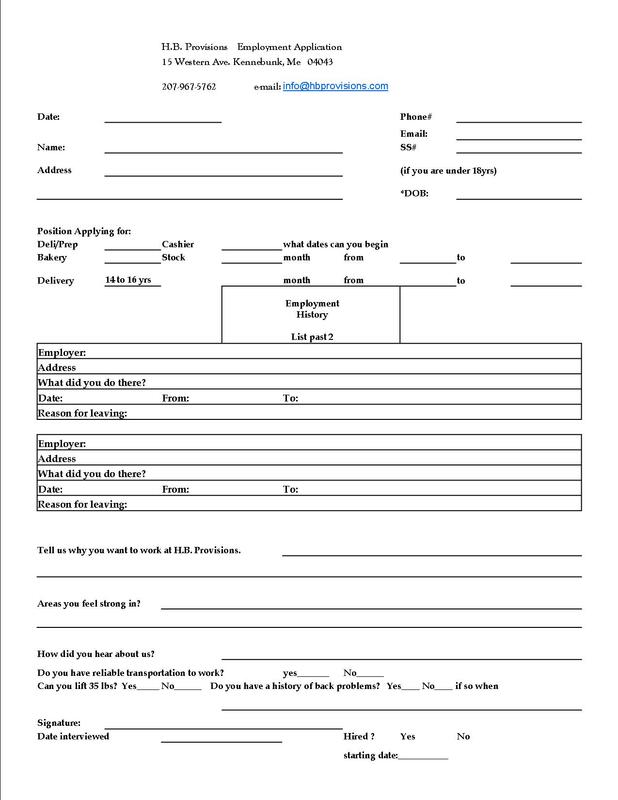 ​Click here to download the application or fill out the application below and follow up with a call to Bonnie the next day. Please list 2 employers if possible: Previous Employer Contact Person and Phone Number Dates of employment Why did you leave? This job often requires you to be able to lift boxes up to 35 pounds. By clicking on the submit button you are stating that the above information is true and you are the person applying for this job.